Cleo’s Fine Oils & Vinegars will be helping the Heart Health Foundation during the entire month of February by donating 25% of its profits to the cause. Cleo’s is located in Annapolis Town Centre at 1915 Towne Centre Blvd, #115, Annapolis, MD 21401. You can also visit them online at www.cleosfineoils.com. Cleo’s Fine Oils & Vinegars is truly a labor of love. 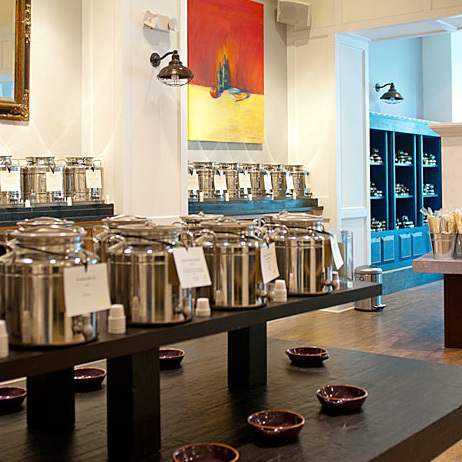 Sisters, Saleta and Linda Cameron, have combined their distinct backgrounds to bring the finest oils and vinegars as well as a unique shopping experience to the Annapolis area. Through her practical knowledge in the olive oil industry, Saleta has developed personal relationships with award-winning olive oil producers from California, macadamia nut growers from Hawaii, and the trendsetting makers of varietal grape seed oil from Washington. Her goal is to feature the latest domestic and international award-winners. Linda, a doctor and a true foodie, has spent her life in the medical profession and knows first-hand of the amazing health benefits of the fine oils and vinegars featured at Cleo’s. Together, the sisters fuse their love of good food, fine ingredients and the pursuit of a healthy diet to offer customer’s at Cleo’s the finest oils and vinegars. Saleta and Linda select each product based on taste, quality and the personal reputation of the growers and suppliers. Olive oils will change seasonally as they are harvested and crushed. Sip, savor and compare Cleo’s Fine Oils & Vinegars. Choose your favorite and watch while it’s bottled. Cleo’s Fine Oils & Vinegars make the perfect gift for any occasion!